Yesterday I became aware that the US Centers for Disease Control and Prevention in Atlanta, Georgia is warning travelers to Norway of the rabies carried by bats in my country. Have a look at this link, in Norwegian only. Apparently they are warning about rabies in bats in all European countries on their “Health Information for Travelers” pages that cover most, if not all, countries in the world. Rabies is a very, very serious illness and I am not saying that getting a vaccine against it (or any other serious disease for that matter, vaccines are a good thing!) is not smart, but there should be a level of quality control in the warnings posted. In Norway the doctors are suspecting that a case from June 2013 – the death from meningitis of a woman in an Oslo hospital – may be rabies related. If so, she has picked up the disease somewhere other than in Norway – as we have not had a rabies death since 1815 and there has never been any confirmed cases of rabies in bats or any other animal on Norwegian soil. That means that we have had no deaths from rabies in almost 200 years. My country has done tremendous work to keep the disease out, even though it has been present on occation in our neighboring countries. The woman had been visiting her origin country in Asia, a place with substantial amounts of rabies in animals. She has most probably picked it up there. Anyway, it is still not confirmed whether it is rabies or not – but we do know she did not pick it up in Norway if it is. I like the work of the CDC and all other organizations that are warning travelers or its inhabitants of the possibility of infectious diseases – and I think information is the key to prevent the unnecessary spread of easily avoidable diseases and infections. I do not, however, condone the spreading of fear that this is an example of. It is important that the information coming from the CDC (and others) is correct, truthful and updated. This information about Norway is not, and it undermines the believability of all CDC information in my view. I do not have the numbers, but I bet that many other countries on the “rabies list” do not have problem with this disease either. What about other diseases that they are warning people about when traveling, how accurate is this information?? I don’t know, I have not checked all the information available on their page, and I do not have information on the various diseases present in all the ~200 countries of the world. 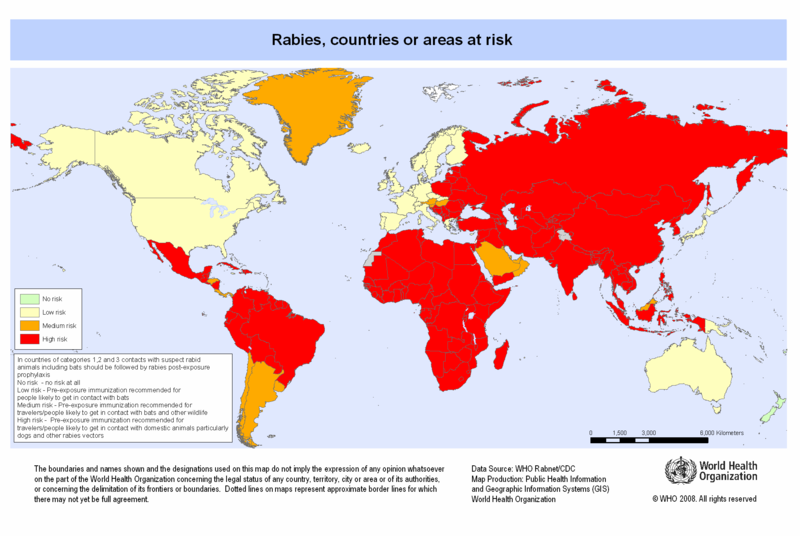 When checking on the Internet for information about the subject, I came across the World Health Organization overview of rabies in the world, and it’s just as inaccurate, unfortunately. WHO also uses the shotgun approach and claims that there is rabies present in bats in Norway and all other countries in Europe, in addition to the US and other places. Only New Zealand is said to be completely rabies free. 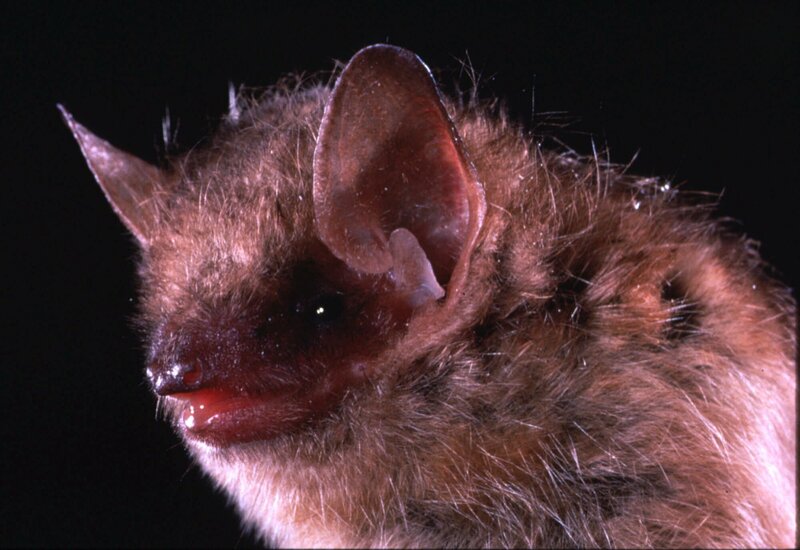 The WHO also warn travelers to get vaccines if likely to get in contact with bats. Europe is not a country, nor is Africa, North or South-America, Asia or Oceania – and the information provided cannot cover whole continents, it must be country specific. If the CDC and WHO are reusing information from one country on all the others in the same vicinity, it’s hurting their credibility. The thing you do not want when informing people about potentially life threatening diseases, is the loss of credibility – it can be a killer.